Increased efficiency and money saving is easy with Pasadena, CA ductless mini split AC system repair and installation. Call Air-Tro Inc. at 626-357-3535 today. Save instantly on your next call with our exclusive online specials. Click here to save! The experts at Air-Tro Inc. have the knowledge and tools to solve all your air conditioning system needs. Maintaining a cool temperature keeps your home comfortable in the summer months. A comfortable home equals a comfortable family. With ductless mini split air conditioning, you can control the temperature in various rooms of your home while maintaining the temperature in other parts of the house. For reviews and comments from past clients, click here. When it comes to customizable treatment for every room in your home, nothing is as simple yet luxurious as a mini split AC system. Allowing you to control the temperature in specific rooms means that everyone in your family can feel comfortable without arguing about being too hot or too cold. With ductless mini split AC systems, there is little to no fluctuation of temperature, and the air quality in your home is improved overall. Individualized and improved control – Each room can be set, meaning no more arguments at home about being cold or hot. Temperatures can be set depending on the time of day and other factors that can change the comfort level of your room. Save money on energy costs – Since the ductless mini split AC system is constantly adjusting its speed to meet the cooling demands of the room, less power is used to cool it down. Being a ductless system means that cool air is not lost in the ductwork as is the case with conventional AC units. Simplicity – Most ductless mini split AC systems can be controlled with a beautiful and simple remote. Modern technology is at its best with this AC system and almost anyone can easily learn how to operate it. When it comes to your ductless mini split AC system, trust the experts at Air-Tro Inc. in Pasadena, CA. These AC systems rely heavily on proper installation. 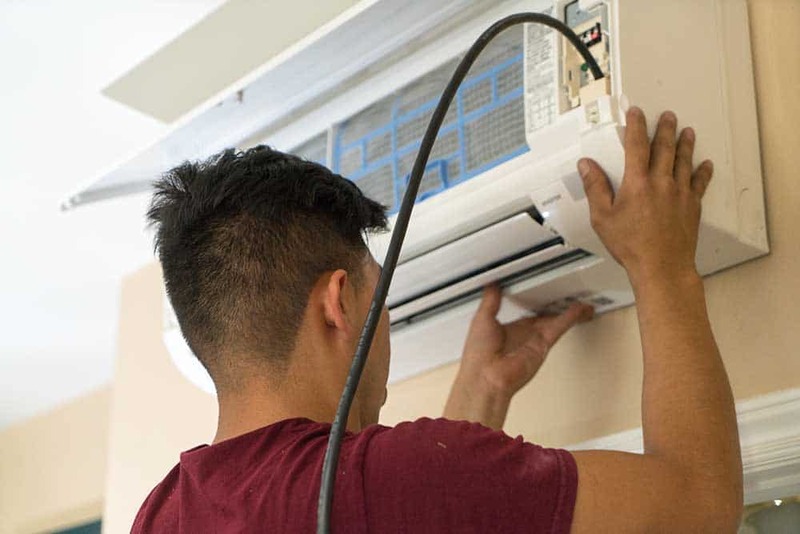 With training and experience, our technicians can install and repair your system with minimal mess and get your AC unit back up and running ASAP, just in time for the hot weather. Call 626-357-3535 today and speak to our friendly and knowledgeable staff for a quote.